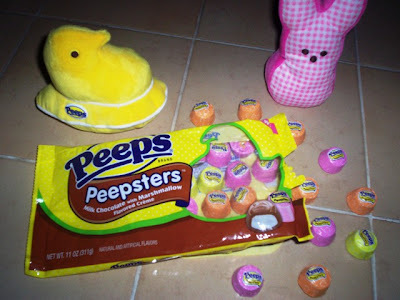 From the wonderful folks that bombard us with "every color of the rainbow" marshmallow Peeps, trees, eggs, etc., we now have Peepsters. Peepsters are individually wrapped milk chocolate candies with marshmallow-flavored creme interiors and come in 11 ounce bags. Currently wrapped in Easter pink, yellow and orange with an embossed Peep top, there are about 40 pieces in each bag. Nice to put in a bowl for company. A serving is five pieces and contains about 180 calories. They have no cholesterol, but each serving has 21 grams of sugar and 100 calories from fat. Hey, what did you expect? It's candy! Plus, they also come in dark chocolate if you don't care for milk. We recently bought a bag to give them a try. 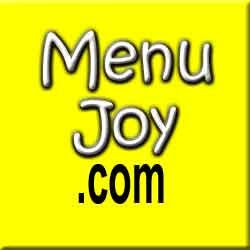 Don't forget our friends at MenuJoy.com for great area restaurant menus.